Thank you to everyone who attended our 9th-Annual Friends of St. Francis Center event! 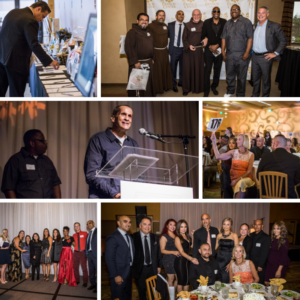 Our 9th-Annual Friends of St. Francis Center event was a huge success! We had over 250 guests in attendance, more than double last year’s attendance, and we raised more (60% more than last year!) than we ever have to help provide hunger relief and comprehensive services for our homeless and extremely low-income. 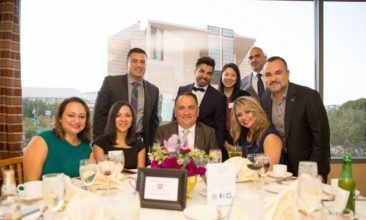 St. Francis Center staff also gave special recognition to several honoree groups, AEG Worldwide, Carrie Estelle Doheny Foundation, and Loyola Law School Alumni for truly exemplifying our mission to feed, serve, and walk with the poor as a community of hope in the spirit of Saint Francis of Assisi. Check out our videos honoring each group above! Watch our Impact Video shown at the event here! We are in need of volunteers TOMORROW!